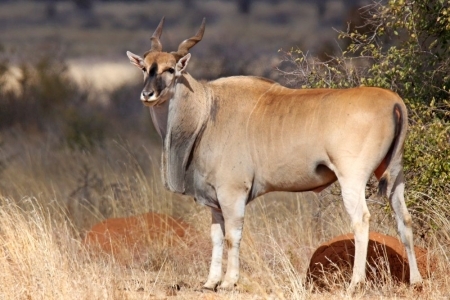 The common eland (Taurotragus oryx), also known as the southern eland or eland antelope, is a savannah and plains antelope found in East and Southern Africa. It is a species of the family Bovidae and genus Taurotragus. It was first described by Peter Simon Pallas in 1766. 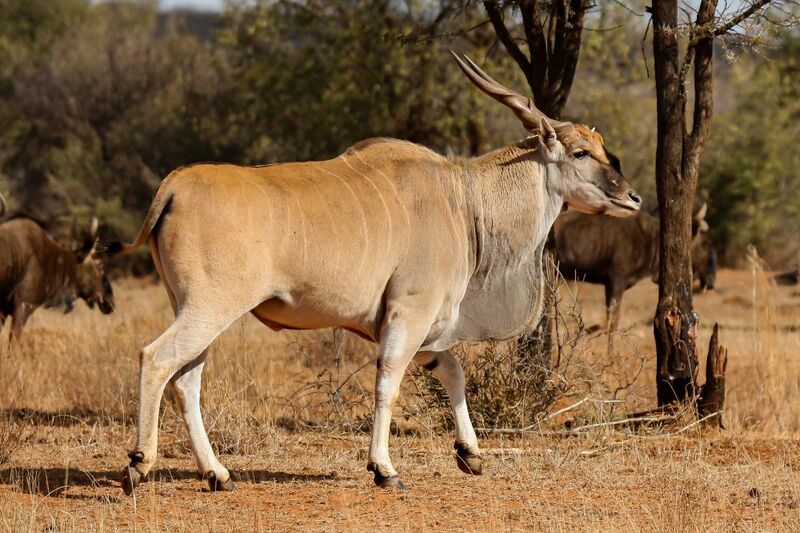 An adult male is around 1.6 metres (5') tall at the shoulder (females are 20 centimetres (8") shorter) and can weigh up to 942 kg (2077 lbs) with an average of 500–600 kilograms (1,100–1,300 lb, 340–445 kilograms (750–980 lb) for females). 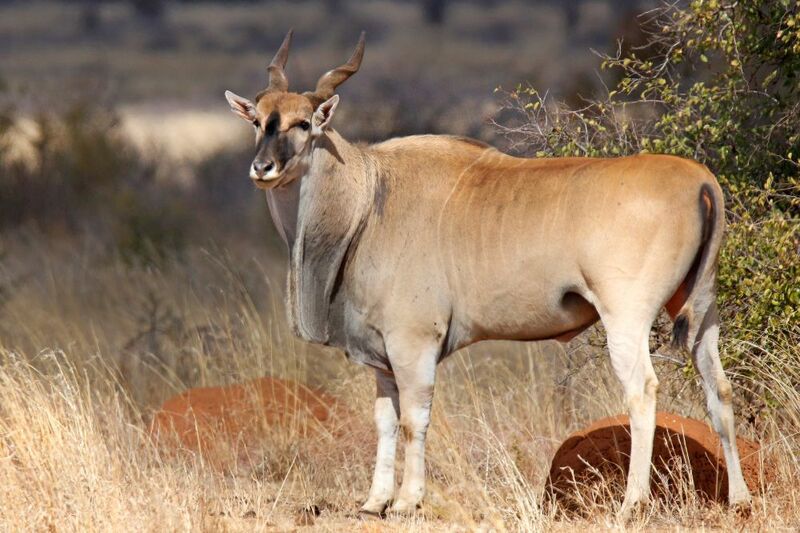 It is the second largest antelope in the world, being slightly smaller on average than the giant eland.